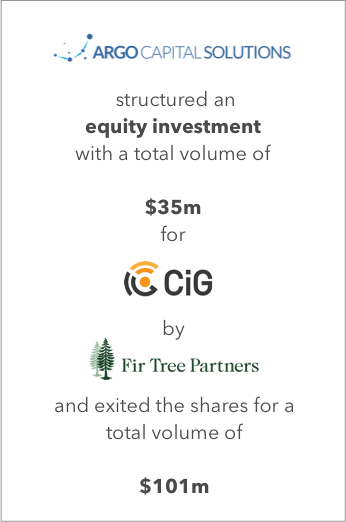 Argo Venture´s capital markets subsidiary Argo Capital Solutions took over and restructured closed-end InfraTrust funds 6 & 8 with a market value of their investment portfolio of $ 6.5 m in 2011. The funds were exited to Crown Castle with a total volume of $ 28.5 m, thus creating a multiple of 4 times. Headquartered in Texas, Crown Castle International Corp. owns, operates and leases more than 40.000 cell towers and other infrastructure for wireless communications. 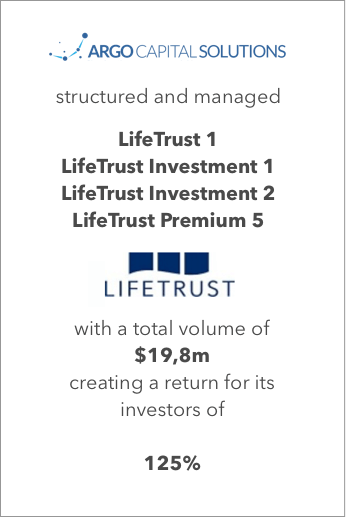 The real estate investment trust manages and offers wireless communication coverage and infrastructure sites in the United States and Australia. 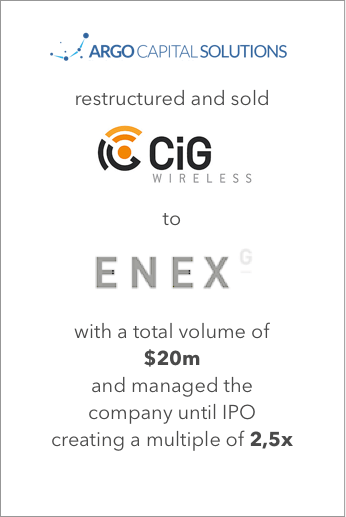 In late 2015 the fund’s extraordinary shareholders‘ meeting instructed the fund manager to sell their portfolio of 32 wireless communication towers. 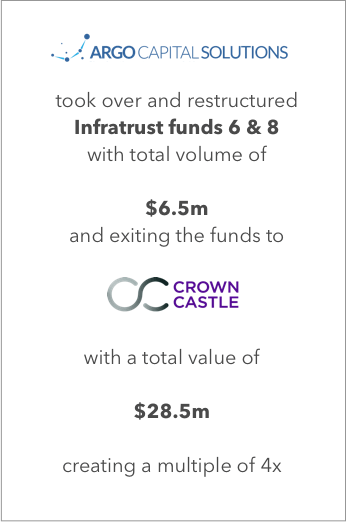 As a result, Crown Castle acquired the assets in an auction and the InfraTrust funds were successfully liquidated in 2016. 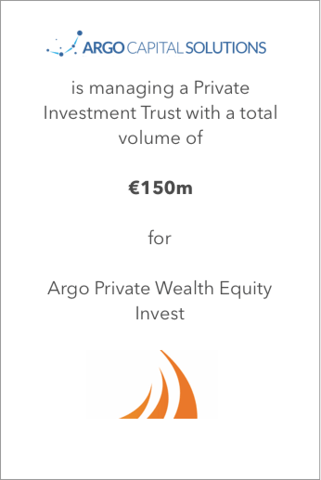 The InfraTrust shareholders expressed their gratitude to Argo´s Stefan Beiten, Nikolaus Weil and fund manager Stephan Brueckl who lead the funds through a complex restructuring period and a successful defense of a series of unfriendly takeover attempts undertaken by the former ousted asset management. Our client-first approach is rooted in the knowledge that our success is inextricably linked with the success of our investors. Entrepreneur Stefan Beiten oversees an investment savvy and diverse team deeply committed to accountability, reliability and integrity. We consider curiosity and creativity, as well as hands-on management combined with a high degree of collaboration, key characteristics of good asset management. At Argo, strong investment, leadership and technical skills go hand in hand with our passion for financial markets and investments. Our portfolio managers have a thorough understanding of the industry, an entrepreneurial mindset and adapt their investment style and strategy to the ever-changing environment. Based on research-driven insight, out international team is able to generate and implement effective investment ideas and provide bespoke client solutions.